The University of Baltimore received a grant from the National Endowment for the Arts to support programming in February 2019 around the book Citizen: An American Lyric by Claudia Rankine. 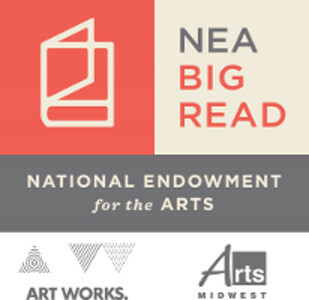 The NEA Big Read program supports community conversations and collaborations around a common read. Rankine’s work uses second-person narratives, poetry, and images to depict the everyday ways white culture dehumanizes people of color, and to express the frustration and exhaustion of living in a racist society. Read more about Citizen: An American Lyric and author Claudia Rankine. Our month of programming includes a film screening and panel discussion on February 7, 2019 to kickoff the events; an “I am a Citizen” exhibition at the American Visionary Art Museum on March 6, 2019 of student and community work related to themes in the book; and a day-long visit by author Claudia Rankine, including a talk and book signing, that concludes our NEA Big Read event on March 7, 2019. We’ll be hosting a variety of book discussions and creative writing workshops with our partners Enoch Pratt Free Library, DewMore Baltimore and Red Emma’s. We’ve also been working with faculty to integrate themes and excerpts from the book into course content, such as oral history interviews at the Waxter Center, and as course reading material for the Jessup Correctional Institute cohort. Bring a friend to one of our books discussions or events — they are all free!